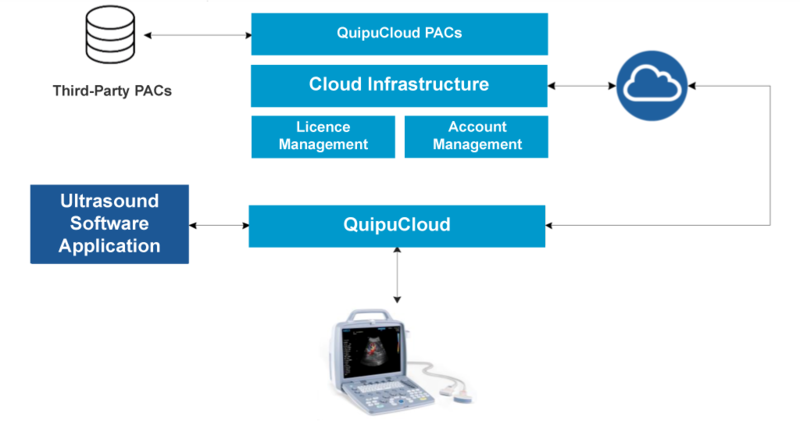 Quipu Cloud aims at disrupting the ultrasound market, by delivering a new generation of biomedical ultrasound systems. Therefore, a framework isolates the software application from the environment it operates in. Quipu Cloud is then a combination of software and hardware. It provides a standard interface of the outside world, for a software application developed for Ultrasound Diagnosis. Similarly as you would expect a Mobile App to work on any smartphone, Quipu Cloud brings the same level of worry-free compatibility and integration for hospitals and clinics for their software based Ultrasound Diagnostic applications investments. First of all, the main novelty in Quipu Cloud is in the way it ‘bridges’ between the software (application) and the hardware (scanner). As a results, this leads to providing the same level of imaging quality across different hardware systems. Therefore, the value added of this novelty allows hospitals to utilize cheaper and more mobile ultrasound scanners. Hence, it will be possible to achieve the same level of quality expected from dedicated scanners that are even more expensive. This allows the use of Ultrasound in applications even more where it was previously considered unfeasible. First of all, Quipu Cloud will be licenced to Hospitals with a yearly licence and will work with any software application in the market. Furthermore, Quipu Cloud is invisible to the user, and works with any software application intended for Ultrasound Diagnostics. 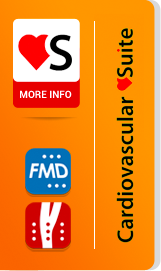 Moreover, it acts as a PACs (Picture Archiving and Communication System) for the software applications but it also integrates with other PACs within the hospital/clinic. The Ultrasound Scanner market, in the past 10 years, has seen a large shift towards the separation of the diagnostic software from the hardware. Consequently, this allows the hospital or clinic more flexibility and less up-front investment. This trend is gaining traction and the latest estimates indicate a CAGR of nearly 10% in the market of Software for Ultrasound Diagnosis. Almost 30% to 40% of the effort in developing an ultrasound software application is targeted at problems due to compatibility issues, difficulties to manage updates of software and various systems to integrate with.